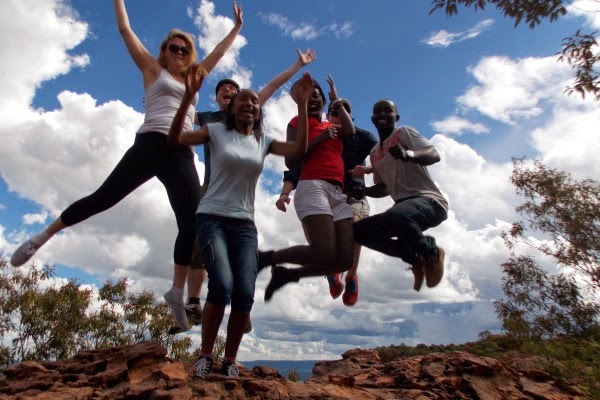 German-African Scholarship Exchange Programme: An Initiative of the Federal President of the Federal Republic of Germany in cooperation with the Federal Agency for Civic Education. to be held in Germany and in select African countries. The next Exchange, Go Africa... Go Germany 2015/16 is planned in Germany (2015) and Rwanda and Burundi (2016). The fellowship holders are invited to take part in an education programme that will encompass both encompass talks with political decision-makers, personalities from civil society and industry, academics and journalists from both countries and also give participants the opportunity to take part in political and cultural events and excursions. The participants are to contribute towards implementing the programme by assisting in organising lectures and facilitating group discussions. They will also draw up an interdisciplinary strategy paper on an academic subject that will be prepared in Germany and will be written between September and April. The event is directed at students and young graduates from Germany and Africa. Applicants should be between 21 and 28 years old and be studying or have a degree in political science, modern history, international relations, economics, business administration, African studies, cultural studies, media and communication studies or law. Students and graduates who are interested can apply to the Federal Agency for Civic Education by submitting an essay comprising a maximum of three A4 pages (approx. 6,000 characters) written in English. The essay must be accompanied by a curriculum vitae in tabular form, a letter of motivation comprising no more than one A4 page and a photograph (the following information must be provided: surname, first name, gender, date of birth, profession, job/field of study, place of study, place of work and place of residence). The acceptance of African participants to the programme only becomes final, when the German Embassy in the participant’s home country has issued the relevant visa.